Arkada Business Park is the most modern Class A office development in Bydgoszcz. We are convinced that due to its high functionality and rich infrastructure, the development will open unlimited possibilities to the most ambitious entrepreneurs. Class A office space, in addition to prestige and top quality, also means modern technology in service to the environment. The investment is being developed in line with the BREEAN sustainable building standards, and the solutions used will translate into tangible savings for tenants. The building is characterised by modern architecture, it is designed with great attention to detail and has friendly site facilities. The architectural solutions and technologies used allow for optimum work comfort to be achieved, e.g. through the high noise reduction capacity of windows, high availability of natural light, and an efficient ventilation and air conditioning system. ABP is a guarantee of high quality and functionality of building interiors and environment. Through its intelligent location and glass-dominated facades, the complex allows ample daylight into the office space. Wide opportunities for company development within one business park. Regardless of office positioning, ABP guarantees an inspiring view onto the surroundings – over the relaxing river or the buzzing city. 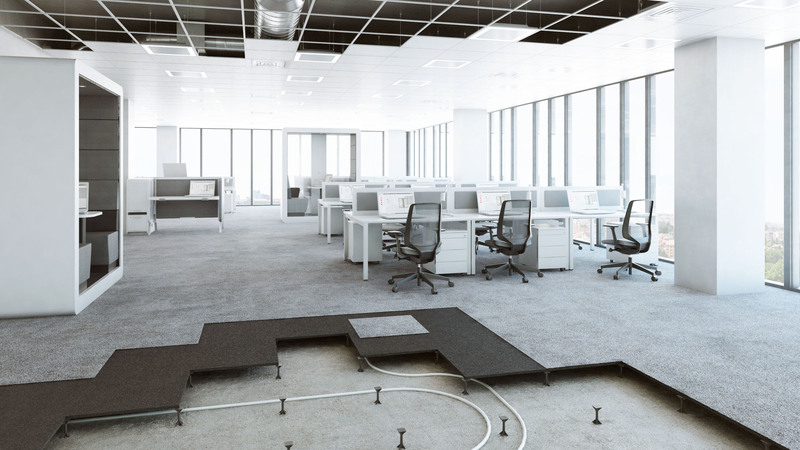 Optimum floor size, sufficient to fit in an entire office. Sample floor arrangement. At request, a team of designers will prepare an arrangement plan for the leased area to suit individual needs.